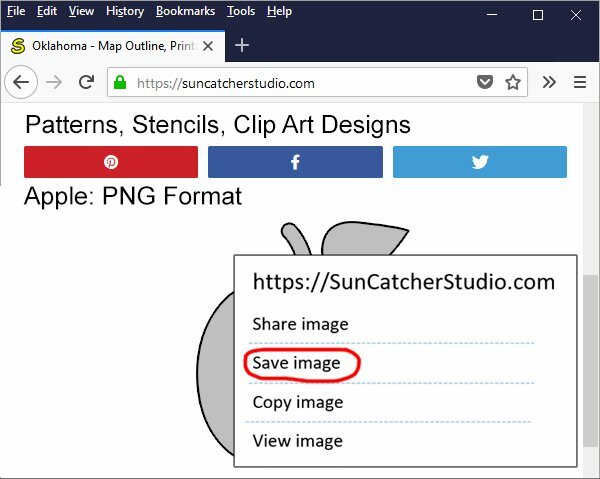 Learn how to save images (including PNG, SVG, and JPG format) using your iphone, ipad, Android phone, tablet, or desktop browser (Chrome, Edge, FireFox, Safari). Do you want to know how to save patterns, stencils, clip art design, etc. that you find on the Web? If so, keep reading. This article is divided into the following sections. 1. How to save an SVG (Scalable Vector Graphics) image. 2. 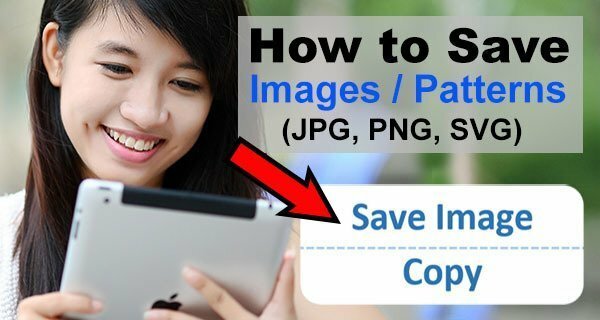 How to save an image from Android Phone. 3. How to save an image from your iPhone or iPad. 4. 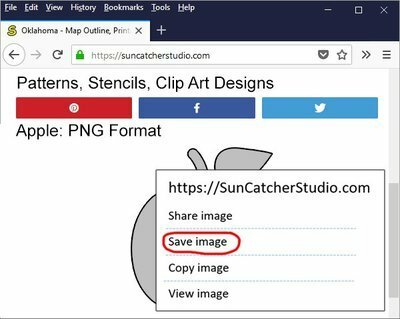 How to save an image from a desktop browser. 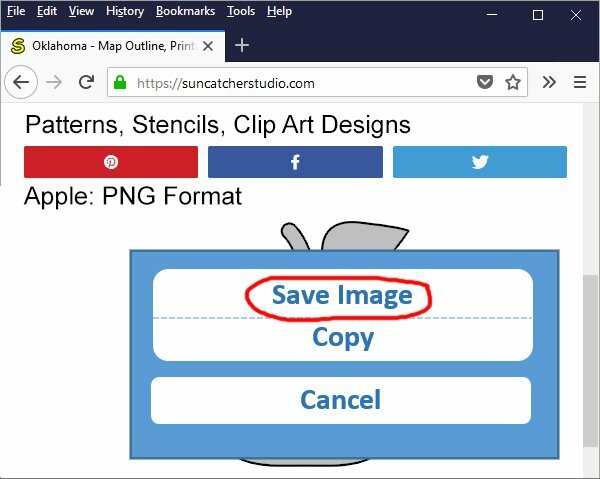 The steps to save an SVG (Scalable Vector Graphics) image varies from one browser to the next. 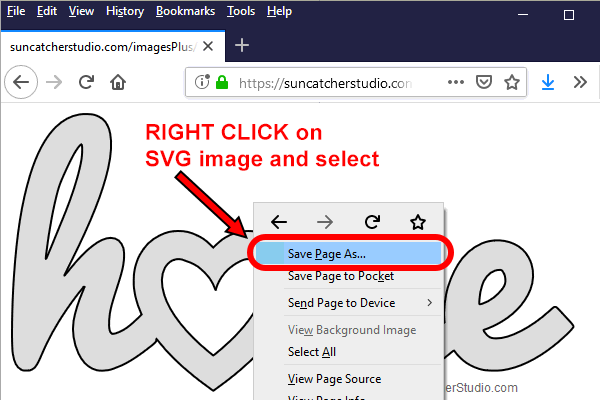 Below are two methods you can use to save SVG images. A. 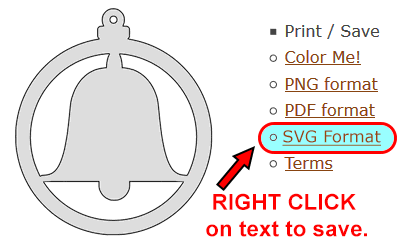 RIGHT CLICK on the LINK to the SVG image as shown below. In this example, you would right click on the text “SVG Format”. You would then select the option “Save Link As” (the exact wording varies from one browser to the next) to save the image. B. First view the SVG image. Next RIGHT CLICK on the IMAGE and select “Save as” or “Save Page as” as shown below. The exact wording varies from one browser to the next. First load or display the image you want to download. Make sure it’s not a “thumbnail” of the picture, but rather it is the larger version of the picture. Tap anywhere on the picture, and hold your finger down. Then select the “Save Image” option. Now launch your photo Gallery App. Inside that Album you will find the image you just saved from your browser. That’s it! 4. 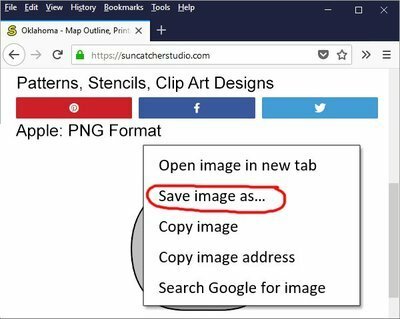 How to Save an Image from a Desktop Browser (Chrome, Edge, FireFox, or Safari). First load or display the image you want to download. Make sure it’s not a “thumbnail” of the picture, but rather it is the larger version of the picture. Whether using the browser Chrome, Edge, FireFox, or Safari – simply “Right Click” or “Control Click” on the image. Then select the “Save image as” option. Desktop browser: Saving an image. The file will be saved under the folder “Downloads” or “Desktop”. 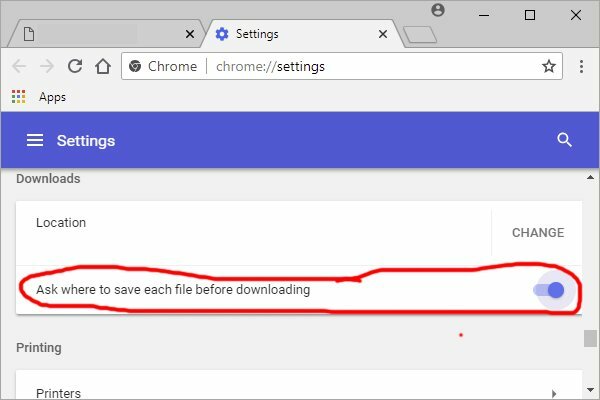 If you are using a Chrome browser, you can specify a different location by going to “Settings” / “Advanced” and selecting the option “Ask where to save each file before downloading”. Chrome Browser: Specify download location. 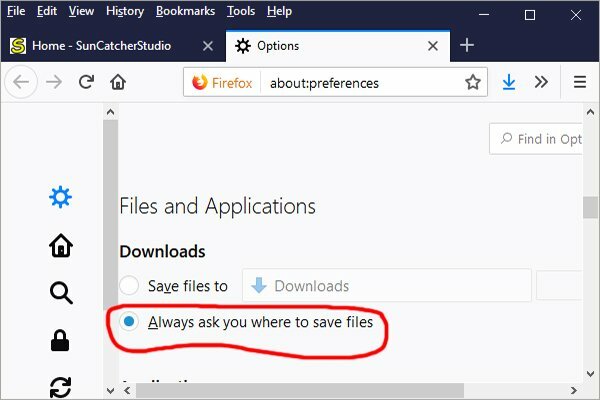 If you are using a FireFox browser, you can specify a different location by going to “Options” and selecting the feature “Always ask you where to save files”. FireFox Browser: Specify download location.